Crowdfunding has become a global fundraising phenomenon over the last half decade, and increasingly, the trend holds true in Africa. In fact, crowdfunding holds a special role in Africa – with the potential to solve the continent’s lack of access to finance challenges. Africa’s startup ecosystem has, of course, responded, with crowdfunding platforms catering to every niche springing up. 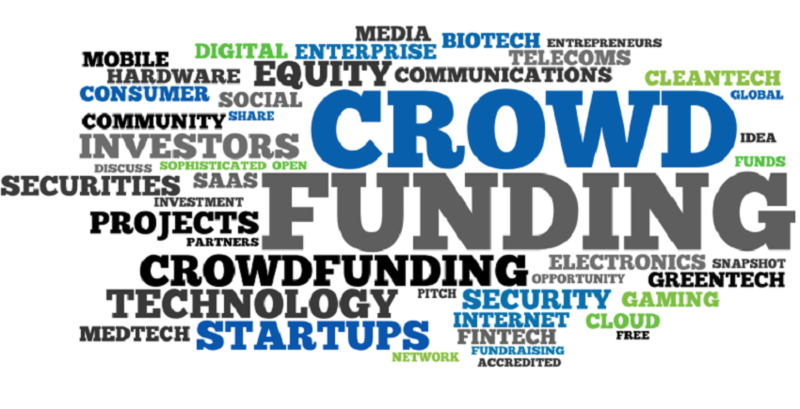 Here, Disrupt Africa names five of the most innovative African crowdfunding startups to watch. South Africa’s Thundafund deserves the first spot, as one of the continent’s crowdfunding startup veterans. Launched in June 2013, Thundafund has thus far raised more than ZAR5.7 million (US$396,000) in crowdfunded money for the campaigns listed on the site. In a bid to further expand the crowdfunding space in South Africa, the startup this year announced a series of free workshops around the country, following a partnership with the Department of Arts and Culture, aimed at encouraging creatives and innovators to use crowdfunding to fund their projects. Crowdfunding with a twist: Lelapa Fund encourages raising investment through crowdsourcing, with a focus on enabling African diaspora to invest in, and get involved in, projects in Africa. While the Lelapa Fund platform helps investors abroad vest directly in pre-vetted African startups – the platform has an inbuilt due-diligence process -, it also allows investors to contribute their skills as well as finances to their chosen ventures. According to co-founder Elizabeth Howard, crowdfunding provides the answer to the lack of access to finance hindering early-stage startups in Africa, while also creating a less-risky inroad for investors looking to invest on the continent. The ABREC.FinanceUtile platform launched in November, providing a dedicated crowdfunding channel for small and medium enterprises (SMEs) operating in the Sub-Saharan African renewable energy sector. Developed by the African Biofuel and Renewable Energy Company (ABREC) – an international organisation founded by African states and financial institutions to promote the continent’s transition to clean energy -, in partnership with French crowdfunding platform FinanceUtile, the platform aims to raise more than just money. It is intended to support entrepreneurs in the renewable energy space by facilitating the transfer of know-how and technology, while also boosting access to reliable electricity generation in sub-Saharan Africa. The first crowdfunding platform dedicated to property investments in Sub-Saharan Africa – Realty Africa – launched earlier this year, offering investors from all over the world the opportunity to invest in the growth and development of the region. The platform looks to provide investors with access to markets that have been historically out of reach, allowing them to invest amounts from US$1,000 upwards. It also allows communities and project developers to raise capital, without high interest payments or collateral requirements. Realty Africa has established local teams and offices in a number of countries, including the Netherlands, South Africa, Botswana and Zimbabwe. Under contracts signed with Deloitte and fiduciary service fund Imara, Deloitte’s due diligence team screens each project before it goes live on the platform, while Imara has assisted in drawing up a legal construction which prevents owners from selling their property. South African bitcoin startup Bankymoon has announced it will launch a crowdfunding platform, Usizo, that allows public schools in Africa to use blockchain technology to crowdsource utility credits. The platform will go live to the public in January – so this is one to really keep your eyes open for. Schools will have Bankymoon meters installed which are blockchain-aware. This means that anybody from around the world can make payments directly to the meter in the crypto-currency of their choice, and fund the energy or water needs of the school. “This is truly a revolutionary concept with regards to foreign aid. Never before has it been possible for donors to directly make payments to the causes they believe in without needing to trust an organisation to act as middlemen,” Bankymoon founder Lorien Gamaroff told Disrupt Africa.